Two of my favorite fun things are thrift stores and Pinterest. They make an awesome combination. Creativity plus the search for the inexpensive and unusual make a great adventure. (I consider Pinterest my magazine subscription replacement therapy - no more magazines to collect and throw out). The Magic Blackboard is one of my best scores in both departments. I have seen many blackboard pins and was looking for that perfect frame while snooping around in the bins at the local Goodwill. I found this lovely piece with great faux painting (no glass) embossed on the background. Yes! Back home I painted the background with several coats of blackboard paint and voila! A new blackboard for motivational quotes in my kitchen. 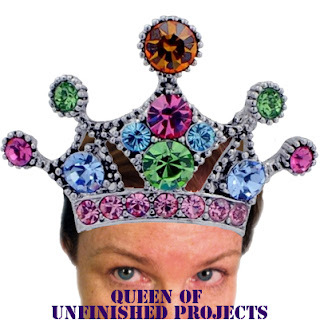 As the Queen of Unfinished Projects, I have a number (I will not reveal the number of zeros) of projects that are carefully and chaotically resting in my studio. I have enjoyed a lifetime of projects, being the Creative that I am, some of which are completed and some... not so much. Just ask my friends and family. As my Monkey Mind thinks of way more things to do and accomplish than my Guiding Angel can whip up, there is a constant battle in my head as to which ones will come to fruition and those that will fall by the wayside, unfinished or as dreams on a list. This can and sometimes does become a source of stress and pressure. Gratefully, I have learned a few lessons along the way, so the Monkey Mind and Guiding Angel are more under control and playing nicely most of the time. This Art Prompt is to encourage you to let go of some of the things which are bringing you down, holding you back, and keeping you in a comfort zone where growth does not occur. Letting go can be painful or it can be very freeing. I learned a technique from The Sedona Method that helps me to practice the Art of Letting Go. Hold a pen in your hand and imagine whatever you need to let go as the pen. Drop it. When it falls, ask yourself these questions. Will I let it go? Each time you ask yourself these questions, no matter what the answer, you are allowing yourself to imagine letting go of whatever is you are holding. It can be a habit, a belief, a fear, possessions, a relationship, or any number of things that keep you in a pattern of negative energy. So Let Go. 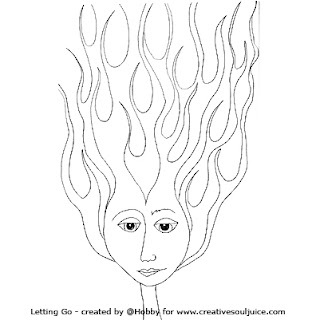 Practice letting go as part of a daily or weekly routine. See what happens when you free the space and enjoy the freedom. 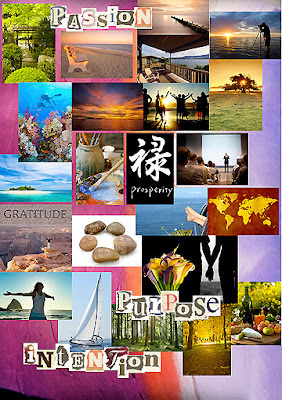 Today's Art Prompt is to create a list of gratitudes. 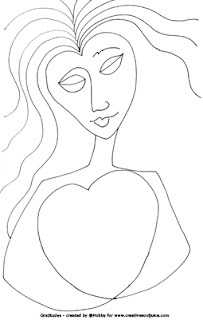 You can draw write, doodle, collage or photograph anything for which you are grateful. No matter how small or large, every day or special occasion, simply be conscious of what is in your life today that you are thankful to have, experience, and enjoy. If you would like a copy of Gratitudes to use for your art prompt, leave me a comment with a link to your facebook page or blog. I hope you have many things for which to be thankful! Do you have a place to create? A room to dream? A space for thinking, writing, sketching, sewing, tinkering? Everyone needs a place of their own for contemplation and creation. If you have such a space, honor it by keeping it organized and decluttered. I know, I know... chaos precedes creation. But chaos can also kill creativity or get us "stuck" in a place where we don't know how to move forward. 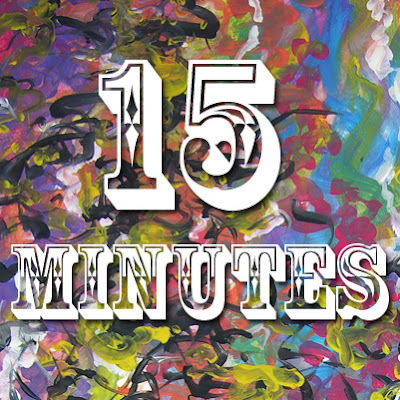 You can honor your creative corner by taking a moment (15 minutes!) to quietly sit and absorb the energy. Express gratitude and let the moment sink in before you begin your sacred work. Take a few minutes to throw away unnecessary papers, trash, and clutter. Organize your desktop or workspace and clear an open area for your work. Breathe in and express thanks for your talent, your energy. Simply acknowledging those things is often enough to allow your mind to open and allow the images, words, and actions flow. Are you one of us who complains about never having enough time to create? Never enough time to journal, or exercise, or just breathe? Let me suggest you use the 15 Minute Principle. Go to your calendar, phone or daybook and write in 15 Minutes on every day. You may not write in a time, but the idea is to take 15 minutes somewhere sometime during the day and doodle, write down your thought, make notes, dance, walk or whatever you need to do to stop complaining about not having enough time. A great website to gain control of your time is www.flylady.net - she tells us You Can Do Anything in 15 Minutes! That goes for making time for yourself to pursue something that has been put on a back burner for too long. 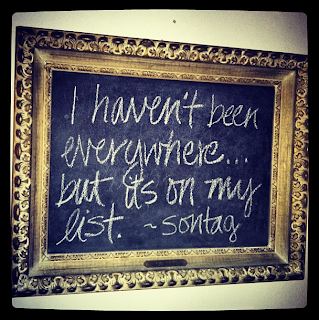 We put off doing things for ourselves way too often and feel unfulfilled because there is not enough joy in our lives. What a blessing to be a grandmother. Its the icing on the cake after having great children. 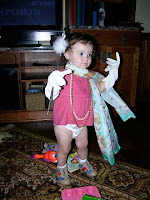 So what does a grandma do when the Littles show up? Why Grandma Camp of course! One of the little joys in life is giving (and receiving) small gifts, cards, and tokens from friends, children, and sometimes strangers. I discovered the delightful world of ATCs a few years ago and I love these small pieces of art that bring a little happiness whenever they are exchanged. ATCs are 21⁄2 by 31⁄2 inch cards, relatively the same size as playing cards or baseball cards. You can actually use a deck of cards to make ATCs easily without having to cut them to size. Another source of cards can be old artwork cut from watercolor paper or greeting cards from Christmas and birthdays. The paper should be sturdy and at least as thick as card stock as a base. When I make ATCs I like to begin with a good number of cards so I can make a lot of card bases at once. I can decorate and add details later. That way I can do a few at time when I want to paint and play for a few minutes or all day. 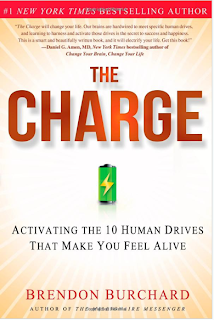 I recently purchased a book written by Brendon Burchard, titled The Charge - Activating the 10 Human Drives That Make You Feel Alive. Having read the introduction and a bit about the author, I looked through the chapters to see what the rest of the book had to share. I recently visited my incredibly inspiring friend Karen and relished in the sweet respite of her back porch. This is a magical place where women gather to eat, drink and be merry, share secrets, release frustrations, and conspire to create. We conjure solutions to our problems and share in the comradery of the wisdom of women. There are sparkly lights to illuminate our evenings, pink flamingoes perched in corners, tinkling wires & jewels that swing in the breeze. Karen’s art hangs on the wall as well as huge, comfy, cushy wicker furniture where we curl up and relax. We gathered on the porch with shrimp, hummus, fruit and veggies for our fare. 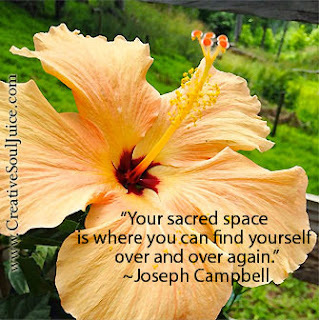 Do You Have A Place of Peace? There is a place I go to soak up the sun, find respite from the chaos, and share food & festival with my friends and family. The Blue Ridge Mountains create the framework with green rolling hills, tall finely leaved trees, and board fences as a background of peace and serenity. This is a place where food is shared, art projects are imagined and dreams are manifested. Laughter and tears are shared here, memories are recalled, and much love is exchanged on this deck in my backyard. My daughters and granddaughter grace the table with their art and books. We plot and plan our dreams. My son and his wife share wisdom and belly laughs while my son-in-law photographs our smiles. Friends gather bringing wine, beer and the happiness of shared stories. The meals that I’ve shared on this deck have been rich with flavor, blessed by hunger, and spiced with love. Whether linens, china and candlelight or peanut butter and bread, the sharing of food is ever an event to be remembered.